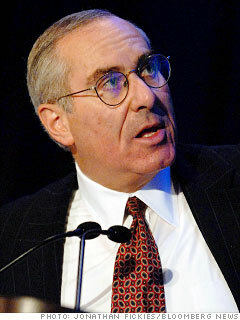 This past May, former E*Trade CEO Donald Layton took over as CEO of the struggling Freddie Mac. He followed a string of leaders at the company: Freddie's former CEO Charles Haldeman started in 2009, after David Moffett replaced Richard Syron in 2008, the year that the government seized control of Freddie and its larger sibling Fannie Mae. Layton has his work cut out for him. For one, he will have to pick up where Haldeman left off on sticky issues like mortgage principal reduction for struggling homeowners, which the Obama Administration favors, but the Federal Housing Finance Agency, Freddie and Fannie's overseeing regulator, still opposes. Before Layton was CEO of E*Trade, he worked at JPMorgan Chase for 30 years, which hopefully gave him the kind of financial experience that will allow him to guide Freddie Mac through its challenges going forward. "I'm pleased that the Board was able to attract a private sector leader of Don's caliber," former Freddie CEO Haldeman said in a press release announcing Lymon's hiring. The next step will be to get him to stay a while. Interactive feature lets readers pick their dream C-Suites.